djriccomix has no other items for sale. Details about DJs Music Video Mix" LATIN ROCK CLASSICS " Best of Rock En Espanol/78 Minutes!!! 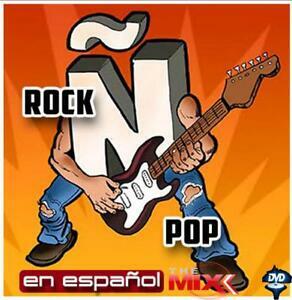 DJs Music Video Mix" LATIN ROCK CLASSICS " Best of Rock En Espanol/78 Minutes!!! EACH SONG IS BLENDED PERFECTLY INTO THE NEXT.YOU NOT ONLY LISTEN, BUT WATCH THE MUSIC. THIS IS THE NEW GENERATION OF MUSIC MIXING. 100 SONGS IN 1 MIX!!! 1 Soda Stereo - En la Ciudad de La Furia. Free shipping on orders of 4 or more eligible items from djriccomix, and use the cart to make your purchase. $1.00 shipping for each additional eligible item you buy from djriccomix, when you use the cart to make your purchase.